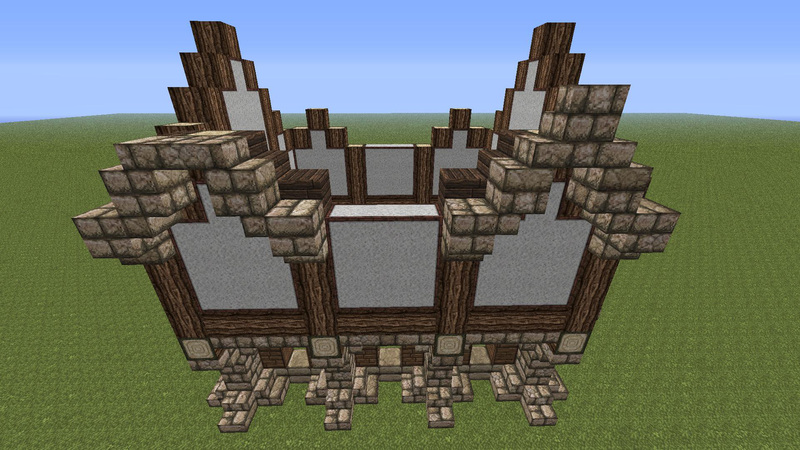 Okay, lets go. 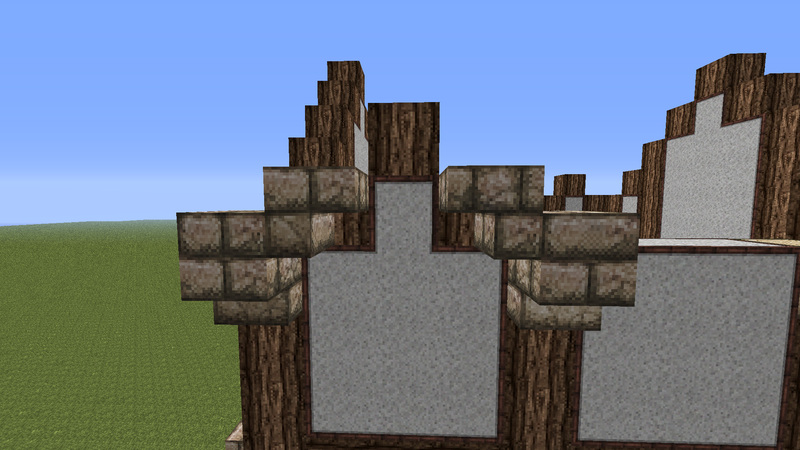 Start by using the layout shown. 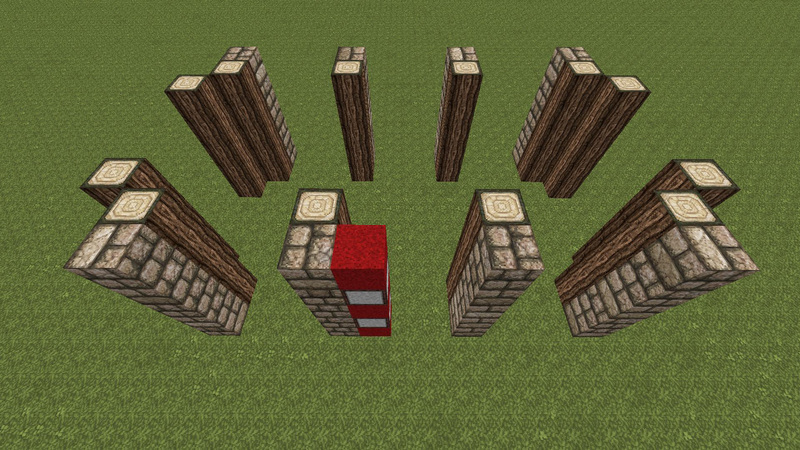 Place stone brick in front of the 8 side logs and raise them up to 5 blocks in height. 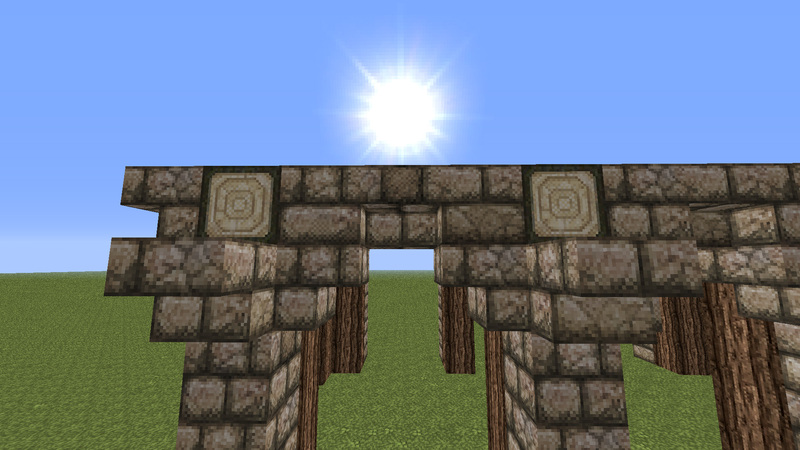 Remove the top stone brick block and replace with outward facing log. 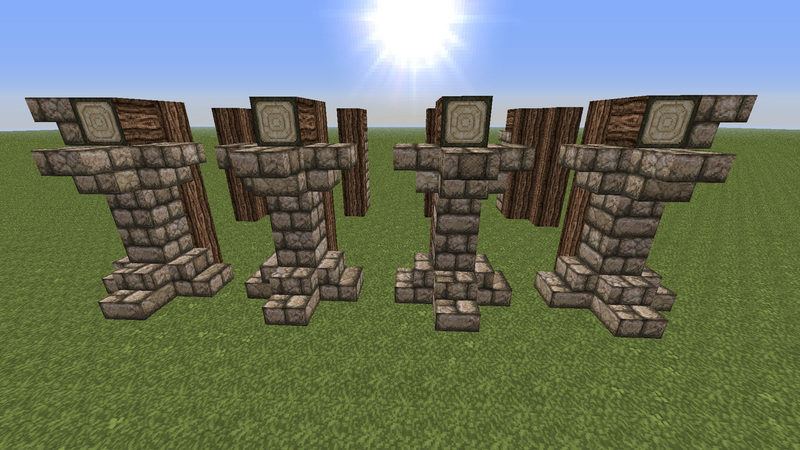 Give all your pillars tops and tails with stone brick stairs. 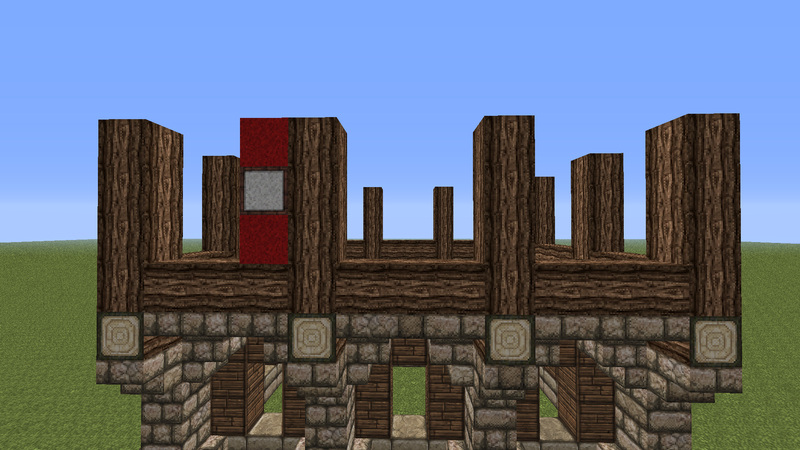 Fill the gaps between outward facing logs with stone brick block, then stair, then block again as shown. 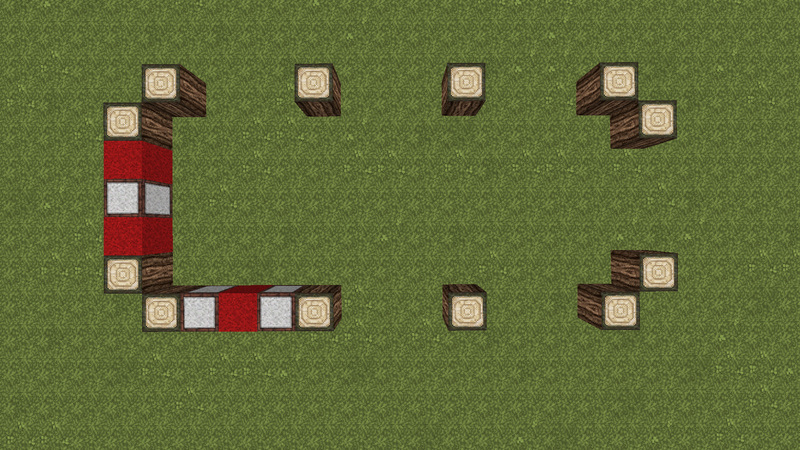 Bring the outward facing logs out by one and connect gaps using half slabs. 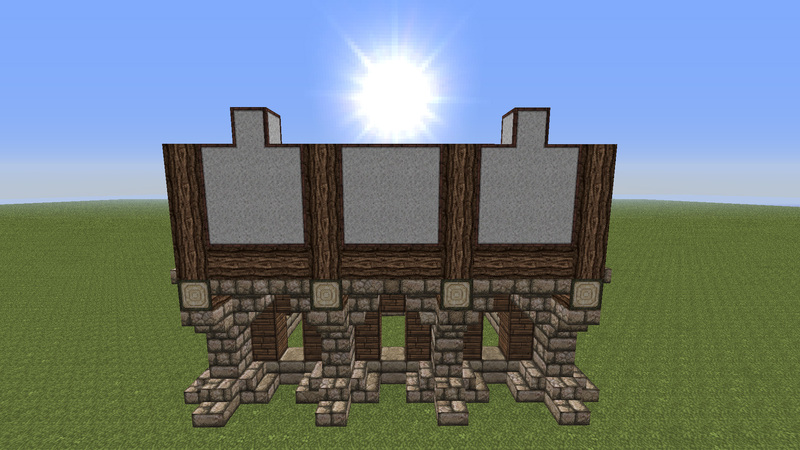 Fill in the walls between the supports using whatever you like. 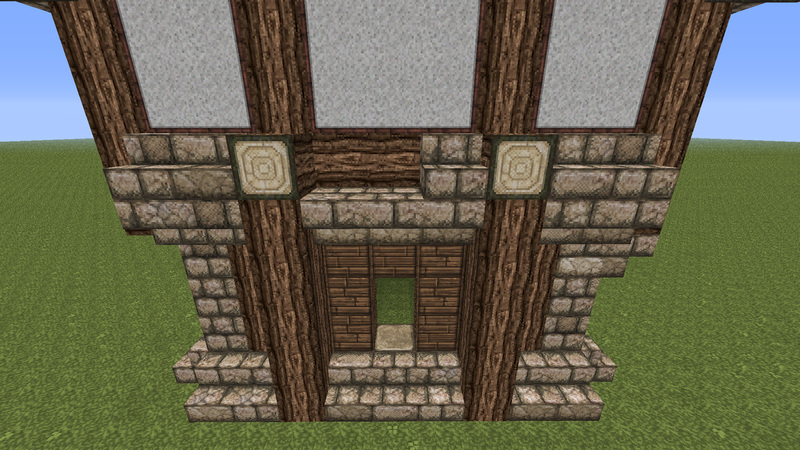 I went for stone slab and oak wood planks. 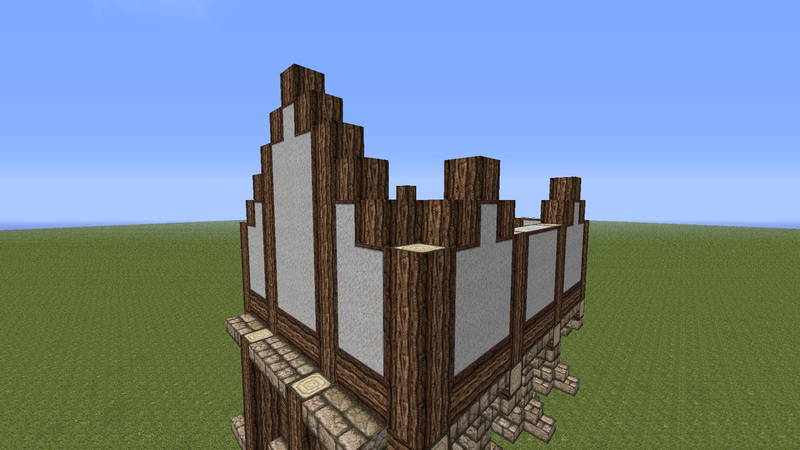 For the sides just add stairs at the top and bottom as shown. 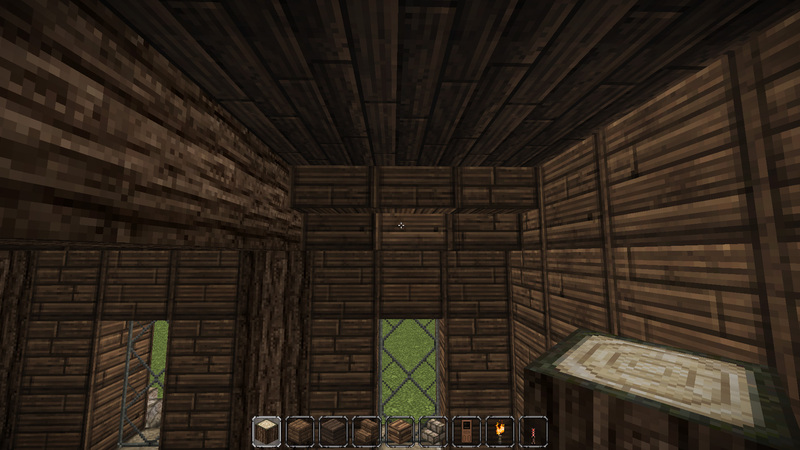 Start the second floor like so, add support beams on top of outward facing logs and add log trim around perimeter. 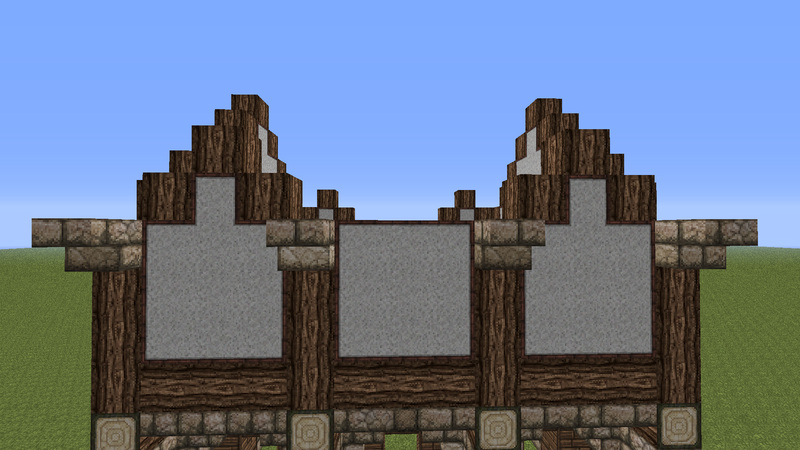 Fill walls with material of your choosing on front and back like so. 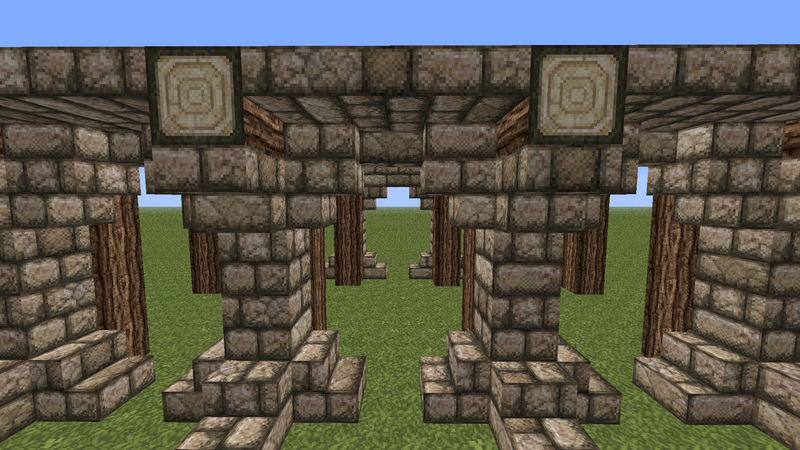 Place stone brick stairs upside down on support beams (front and back but not sides). 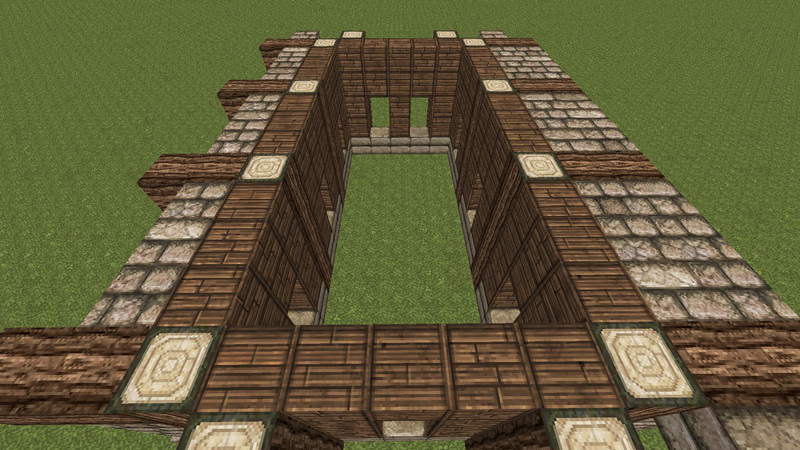 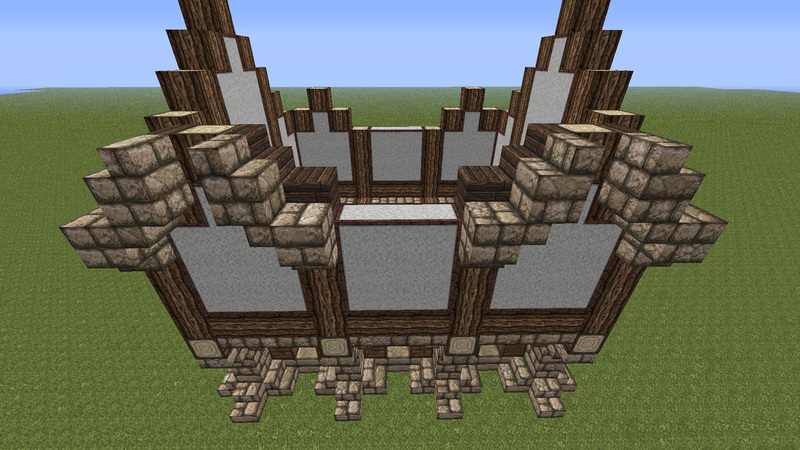 Add upside down stairs as shown, and place half slab on the first stair blocks. 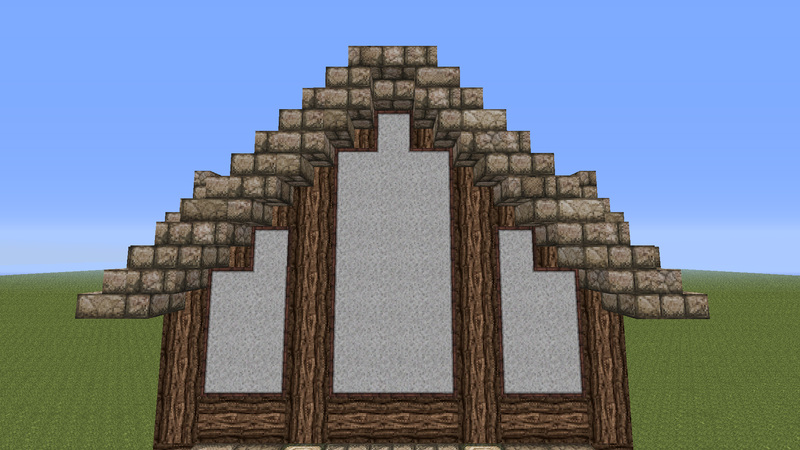 Place a full block of your roofing material on top of each support beam, I used spruce wood. 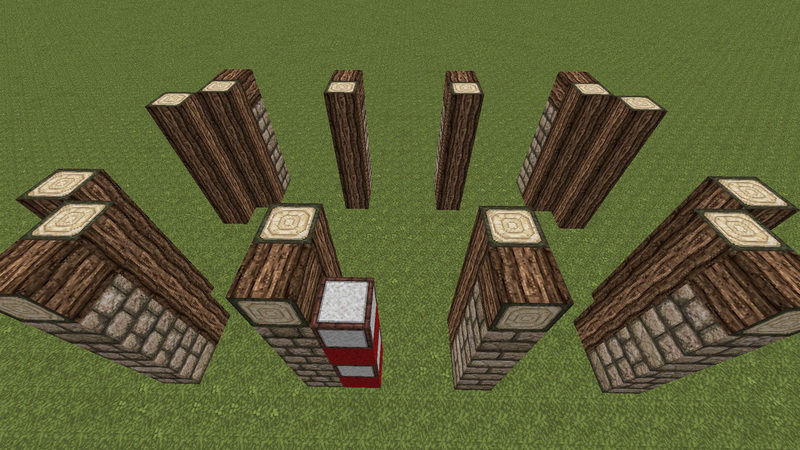 Add stairs on top of second upside down stone brick stairs. 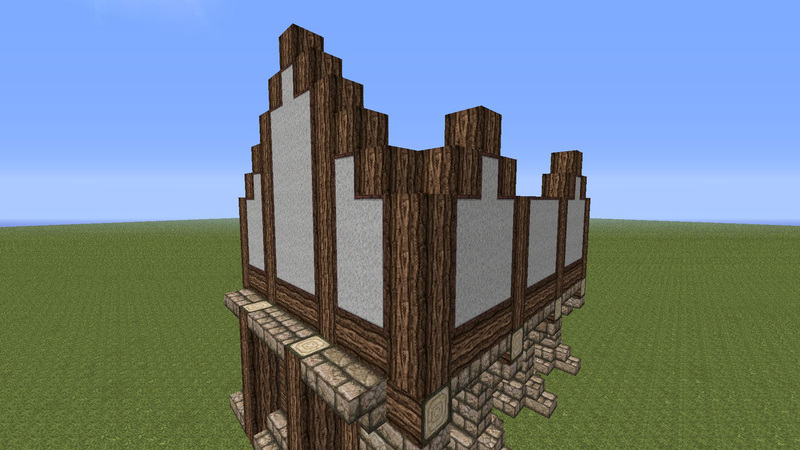 Connect with a half slab and place stairs on top. 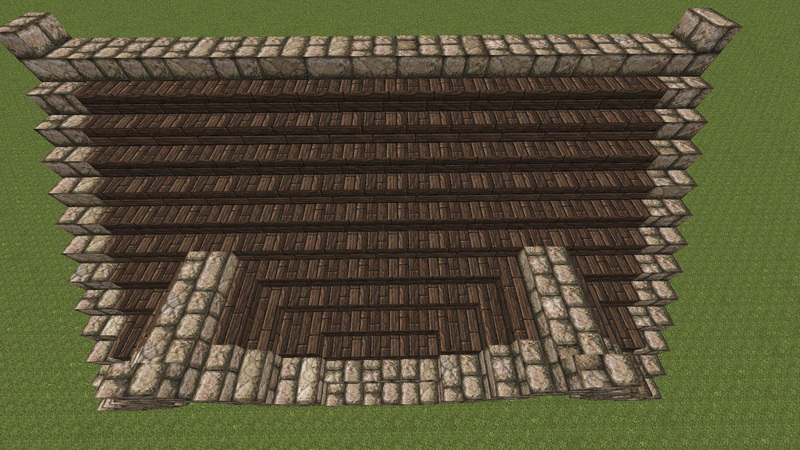 Finish the roof as you would any other giving a trim of stone brick stairs around the outside. 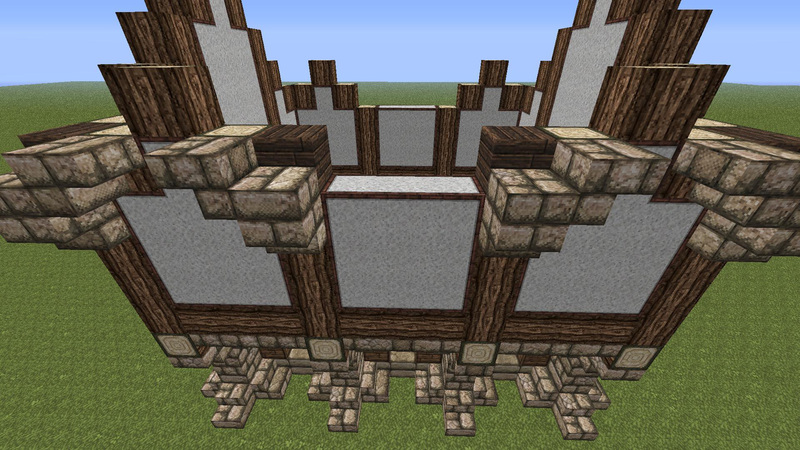 Add in stone brick half slabs where needed and top with stone brick stairs. 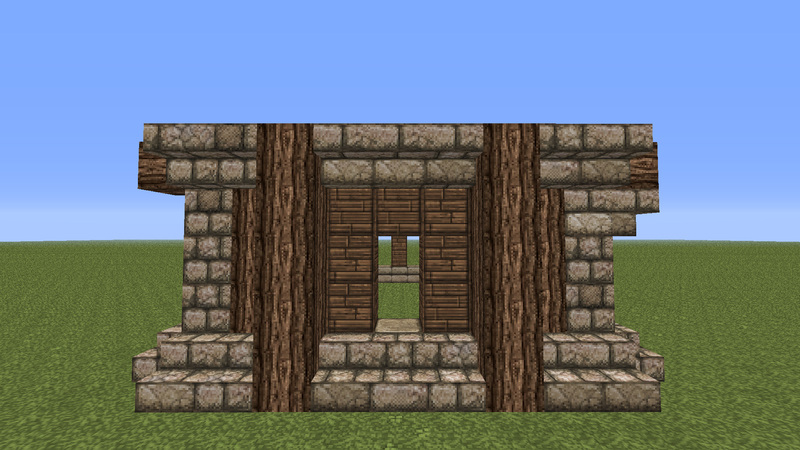 On the side add some more outward facing logs and place stone brick stairs like so. 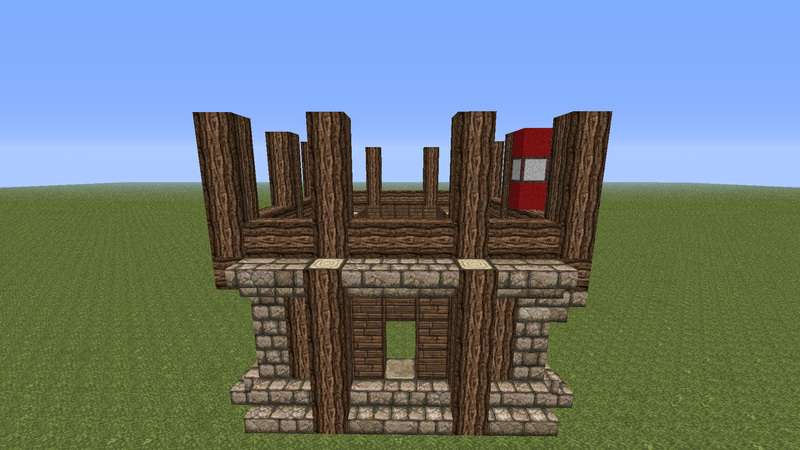 For the second floor place support beams as shown. 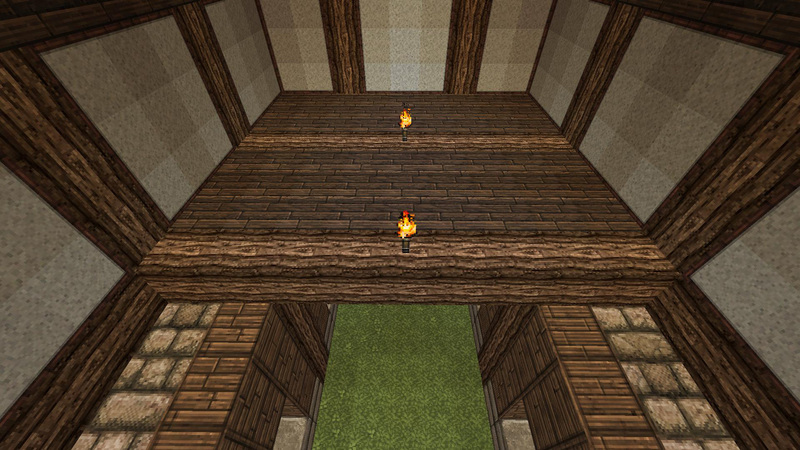 Fill the gaps with your flooring material, I used spruce. 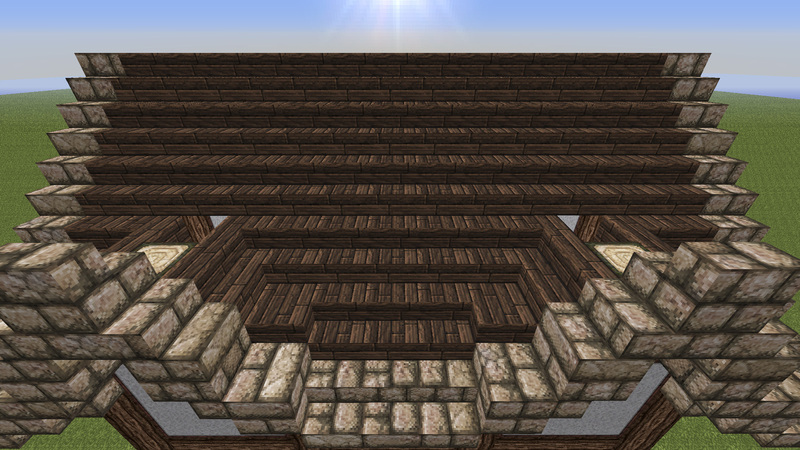 Outside so far, shame about those nasty dark spots. 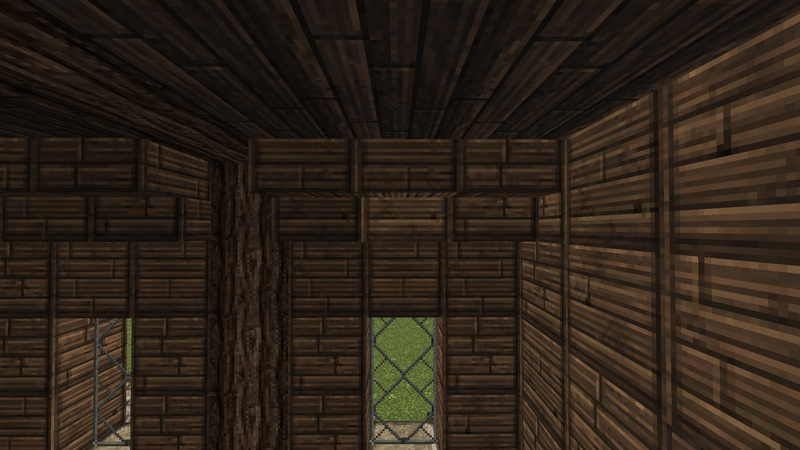 To fix, place a torch above your window panes like so. 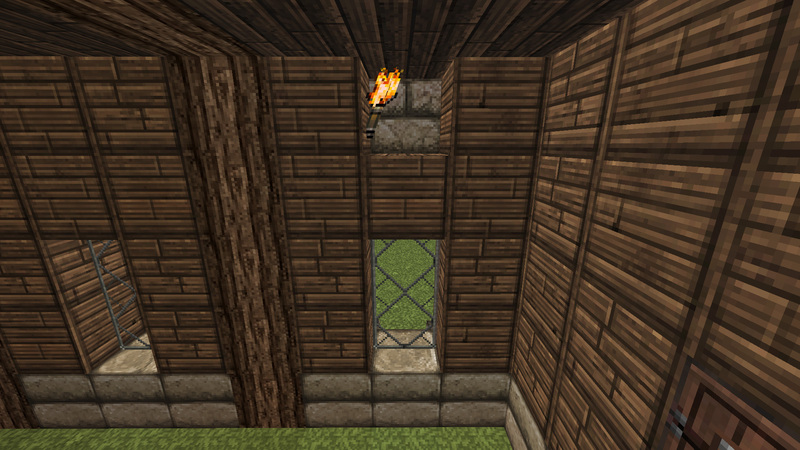 Hide the torch with stairs. 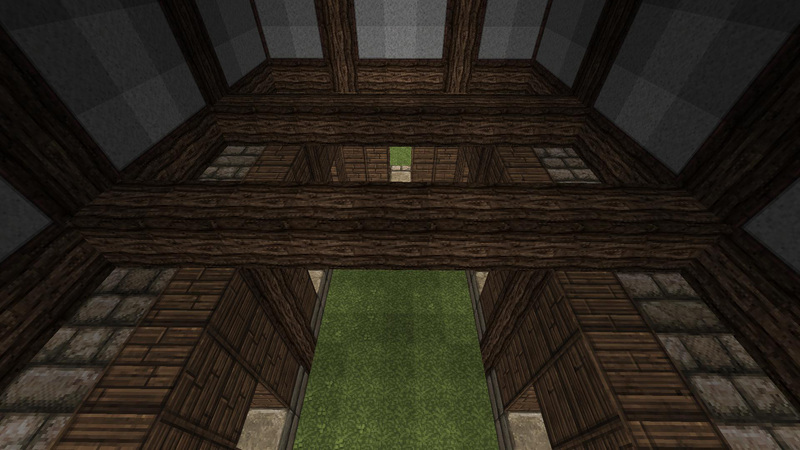 Add another support beam to the ceiling. 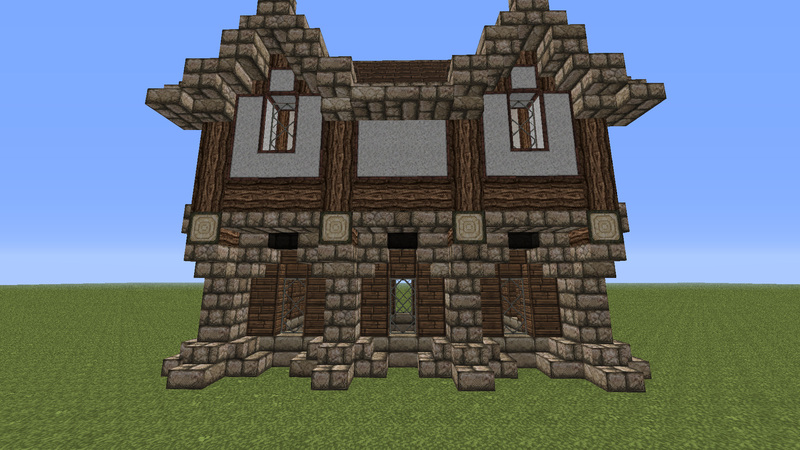 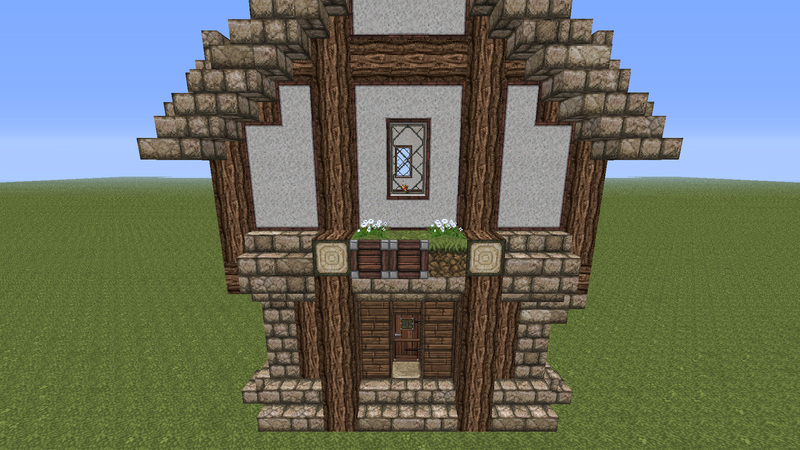 Final side view, I added the wooden beam going across, a flower bed and a door. 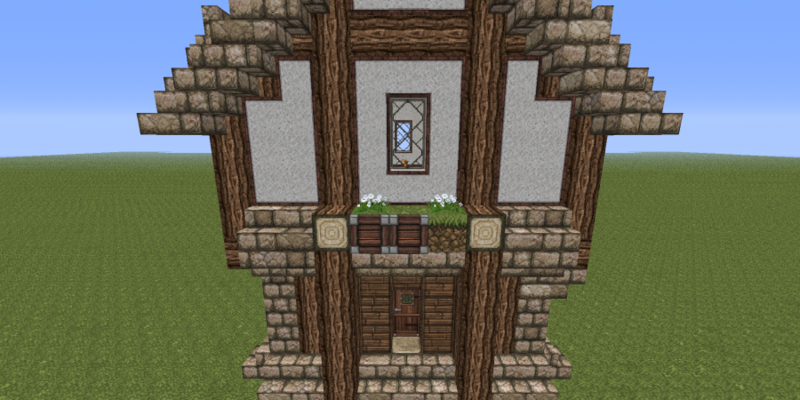 And its done!